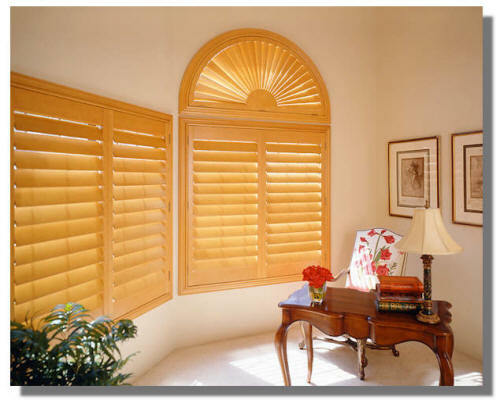 Plantation Shutters or Interior Window Shutters are the ultimate in custom window coverings, offering long-term value, energy savings and increasing the value of your home or commercial building. 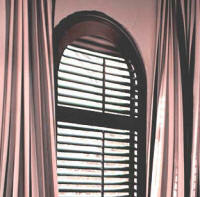 Plantation Shutters are like furniture for your window. Woodlore® interior shutters are constructed with a solid core – real wood in an advanced state – for amazing density and strength. These shutters are made from the wood of rapid-growth trees, which enables tree replenishment at an extremely accelerated rate. UV inhibitors do not release any volatile organic compound and protects against color fading and yellowing. 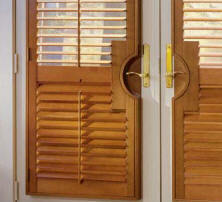 This plantaion shutter's wood grain characteristics are exceptional. With stain, the characteristic wood grain has an better color, depth and character with the inherent texture of the wood. 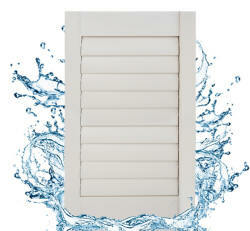 The Best Waterproof Interior Shutter! The resilience of the our waterproof shutter comes from integrating the same advanced polymer material used in automobile parts and helmets. Additionally, the superior waterproof design allows the shutter to withstand high humidity and condensation without compromising performance and longevity. 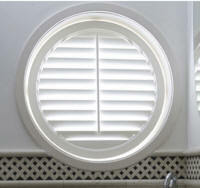 These shutters are perfect for bathrooms and kitchens.